For use with: QuoteWerks v5.3 build 6.06 to v5.3 build 6.06. About the User: This project was commissioned by a client that provides IT and infrastructure services and equipment to other businesses. As part of the services that they offer, they ship a lot of physical IT equipment - some direct to the end customer and some to their Head Office for it to be built, configured and then sent on to their customer. 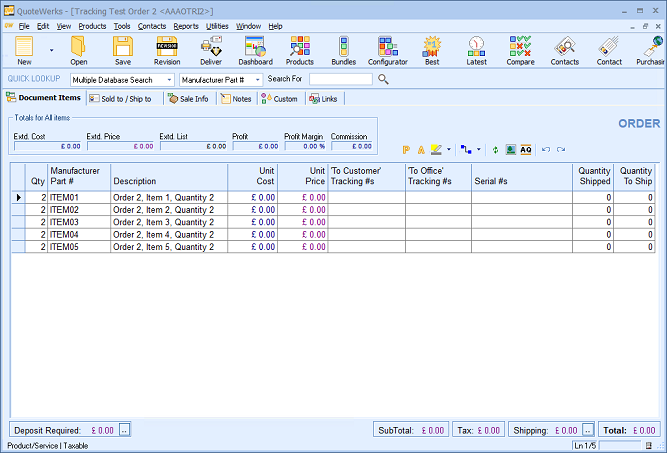 Project Brief: The client uses QuoteWerks Purchasing module for most of the orders that they process. 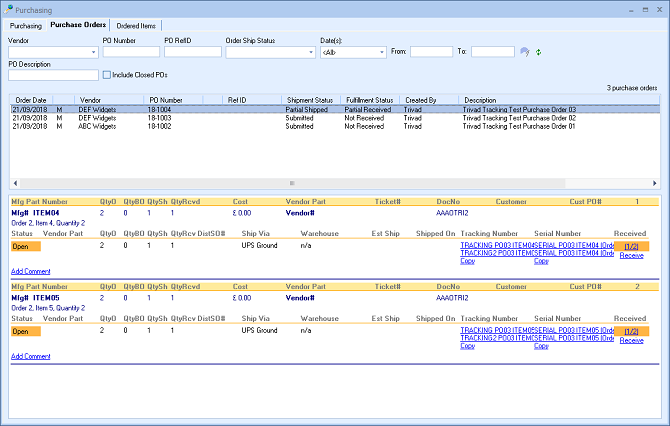 As part of QuoteWerks’ ‘out of the box’ features, tracking details, serial numbers and various other details are stored against the Purchase Order. In order to make this information more readily available to the QuoteWerks User, the client wanted to bring this information onto the Document to save the User going into the Purchasing module and Purchase Order(s) related to the Sales Order. A custom QuoteWerks Tools menu option which opens a screen to allow the User to return the up-to-date Tracking information for the current active Document. Automatically refreshing the Tracking information for the current active Document when the User opens it. 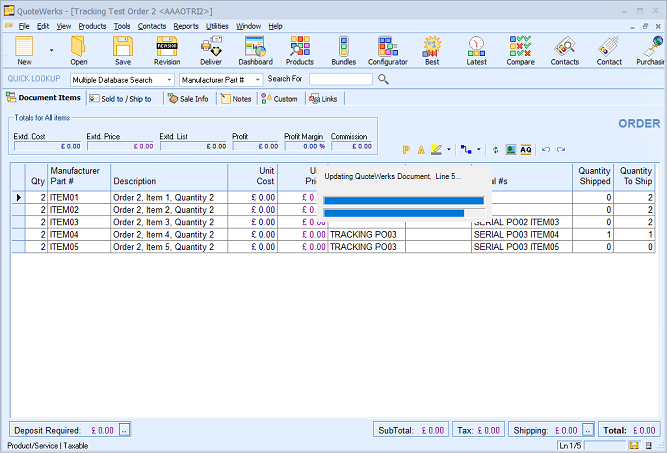 Reading Tracking, Serial Number, Ship Quantity and Ship Date details from the Purchasing module into the current active Document. Users work seamlessly with the QuoteWerks add-on, barely knowing that a separate application is being run in the background. A highly intuitive utility means minimal training required. Configuration options so that modifications may be made without the need to redevelop the solution.